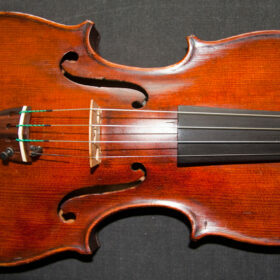 A beautiful new violin with a mature, warm well balanced tone and excellent performance. 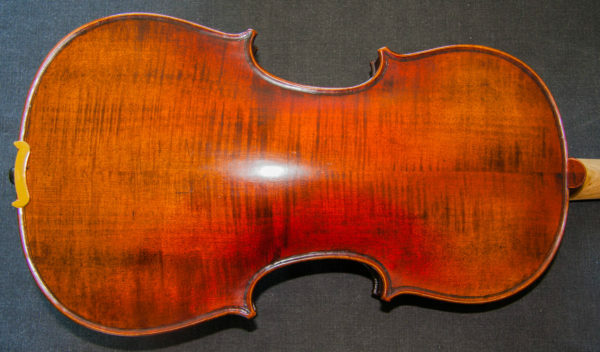 Finished in a classic traditional antique varnish of a rich colour and lustrous gloss finish. 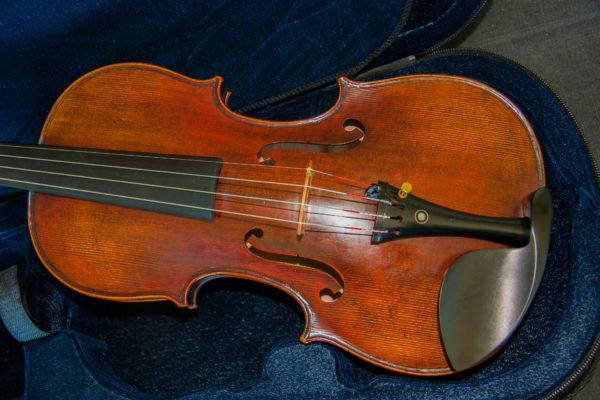 Carefully modeled on the famous 1715 Emperor Stradivarius, which is among the great instruments that Antonio Stradivari produced during his Golden Period when he was at the peak of his powers. 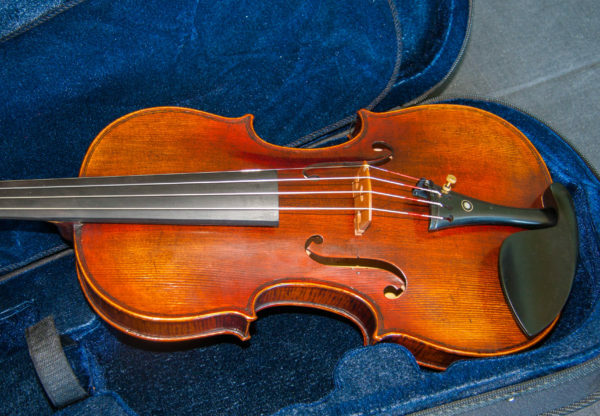 SKU: TAS19006 Categories: New Violins, Violins. 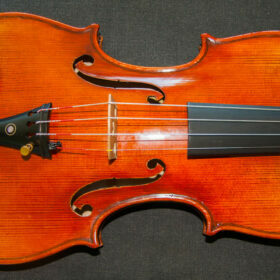 Tags: Antonio Stradivari, Cremonese Stradivarius, new violin, Stradivarius, Stradivarius model, violin. 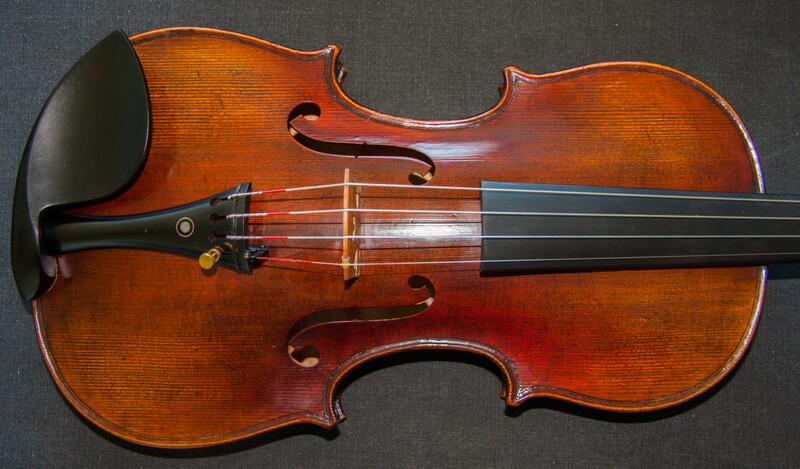 This new violin has been very well crafted to produce an instrument that not only looks excellent but has superb tonal qualities. 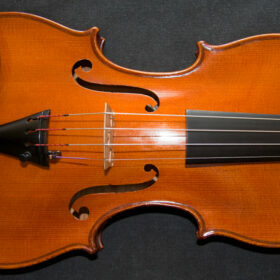 This instrument already has a rich warm sound, clear voice and well balanced tone. 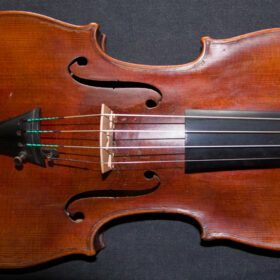 It already sounds very mature but will only get better as it blossoms and opens up over time. 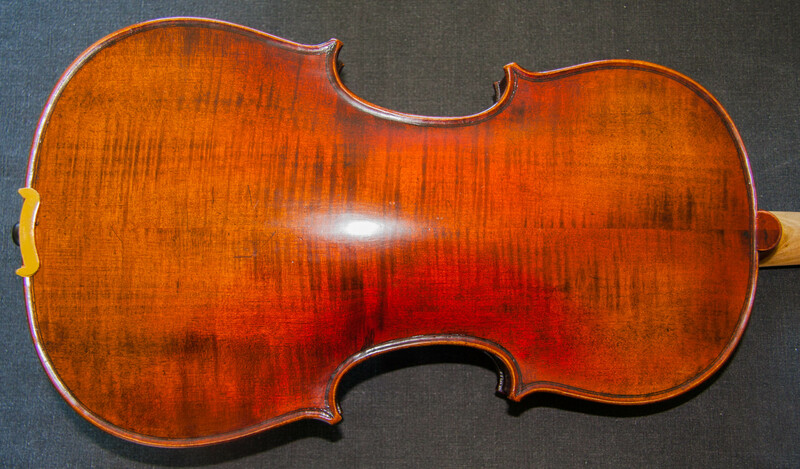 It is finished in a classic deep, rich coloured European oil/spirit varnish that has been lightly antiqued. This violin has been beautifully modelled on the famous 1715 ‘Emperor’ Stradivarius violin – see below for full details of this violin, its history and its most famous owner. 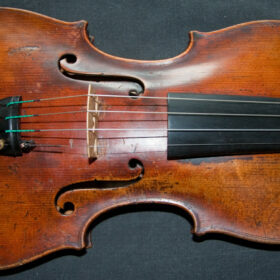 About ‘Emperor’ Strad 1715 violin. This violin is built on a basic plan of the Emperor Stradivarius 1715 violin, which was renowned for its striking single piece tiger striped maple back. 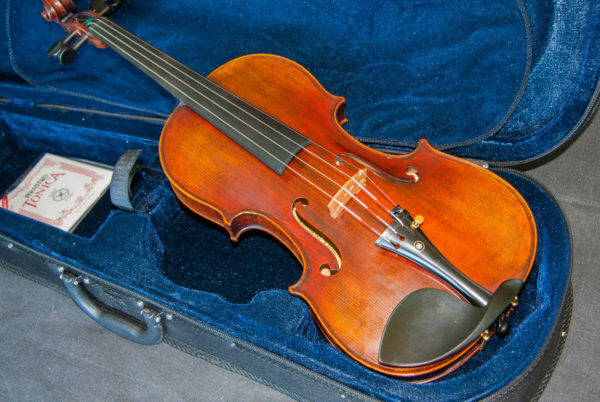 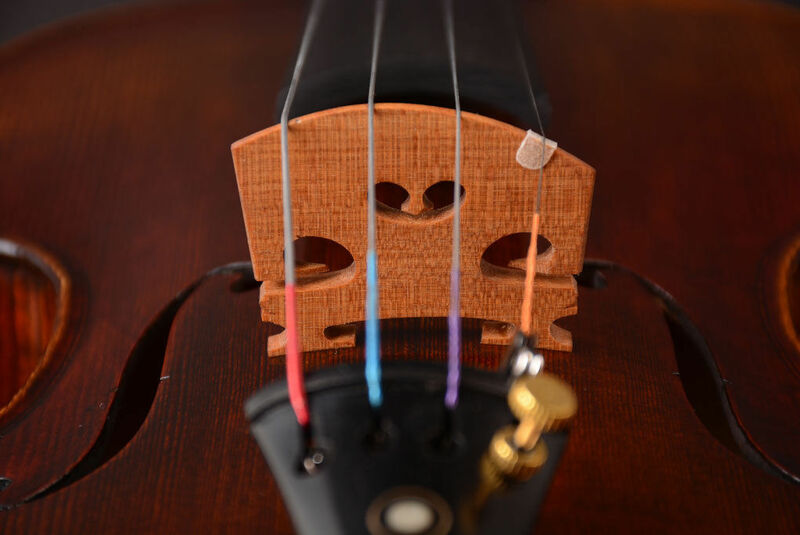 It was obtained in 1910 by the famous Czech virtuoso violinist and composer for the violin, Jan Kubelic for the princely sum at the time of £10,000; the violin having previously been owned by George and then Edgar Haddock. Kubelic was a leading name amongst the great violinists at the opening of the 20th century ranked alongside such illustrious company as Pablo de Sarasate, Josef Joachim, Eugene Ysaye and Fritz Kreisler. 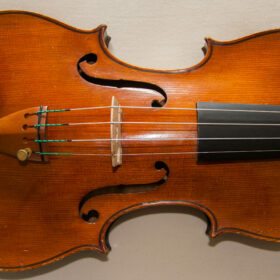 His sound is distinctively pre-Heifetz but he was renowned in his day for a “full and noble” tone, together with perfect intonation and virtuosic technique. 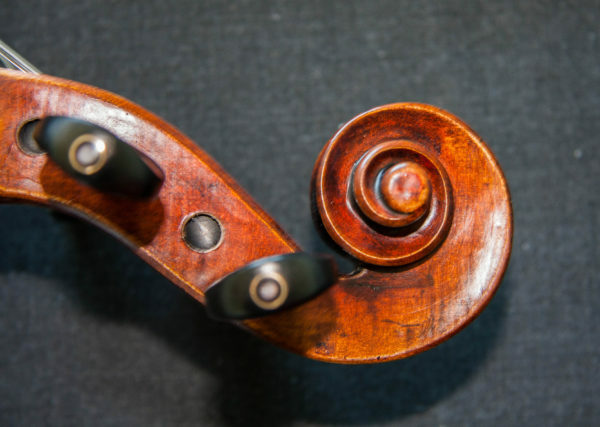 Kubelik also composed 6 violin concertos, Cadenza’s for Beethoven, Brahms and Mozart’s 5th violin concertos, and 3 pieces for violin and piano – Burlesque, Oriental Scene and Minuett. 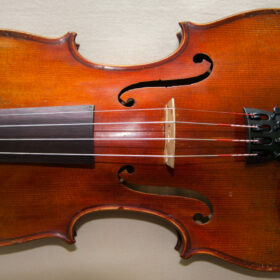 This performance of his 4th violin concerto is given by the Czech Philharmonic Orchestra, with soloist Miroslav Vilimec. 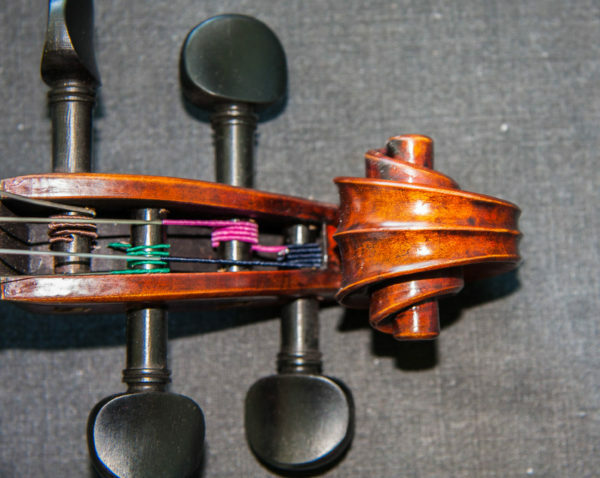 Jan’s son, Rafael, speaks to the audience at the end of the performance.